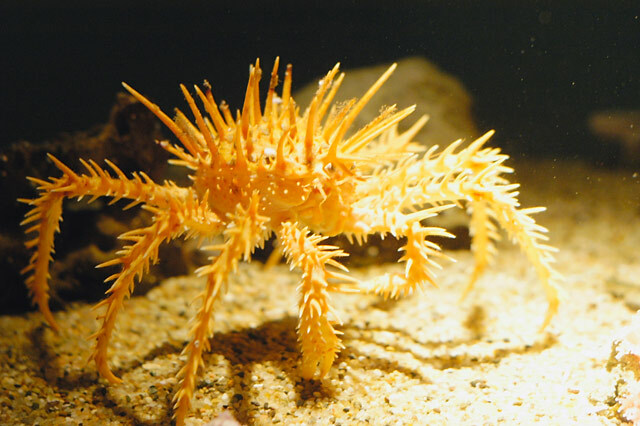 Animal Wildlife | King Crab | King Crabs are known for their sheer size but only a couple of species get really big. King crabs are mainly found in the Southern Hemisphere where the waters are warmer but the Alaskan king crab is the obvious exception to this as the waters there are near freezing. 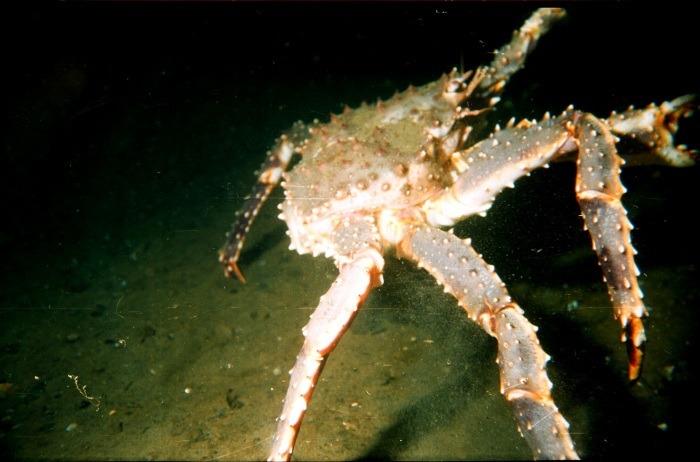 Red king crabs can have a leg span of up to 1.8m, blue king crabs often weigh over 8kg! 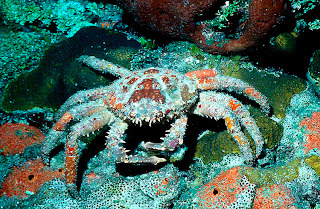 King crabs hunt small fish and plankton in the oceans and are often found close to coral reefs or rocky areas where there are plenty of places for the king crab to hide. The king crab is generally believed to come from the ancestors of hermit crabs, as with many species of crab today. 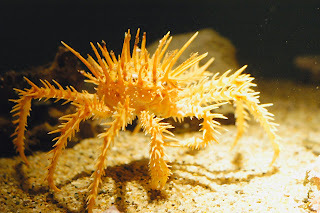 King crabs are hunted all year round by fisherman and the king crab is seen to be delicacy in many parts of the world. 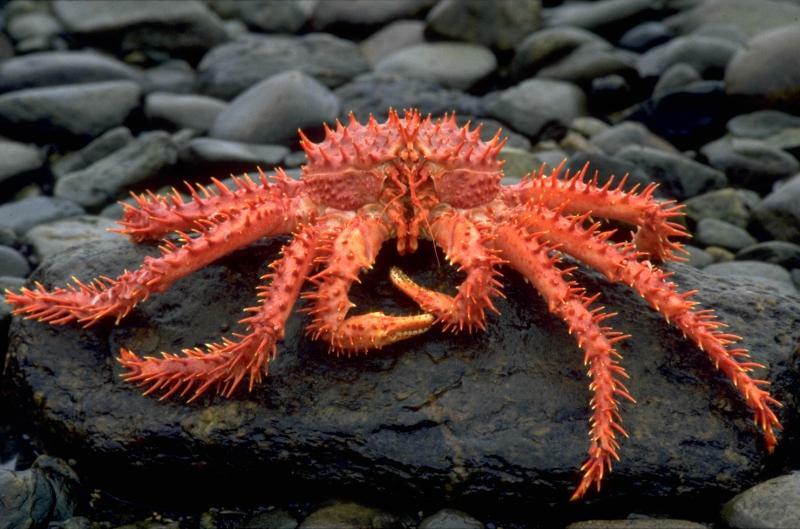 There are thought to be around 40 different species of king crab today, nearly all of which are hunted for food by humans due to their large size and the taste of their flesh. The most popular king crab for a human catch, is the red king crab as the red king crab is one of the largest species and one of the most readily available species of king crab in the ocean. 0 Response to "King Crab"